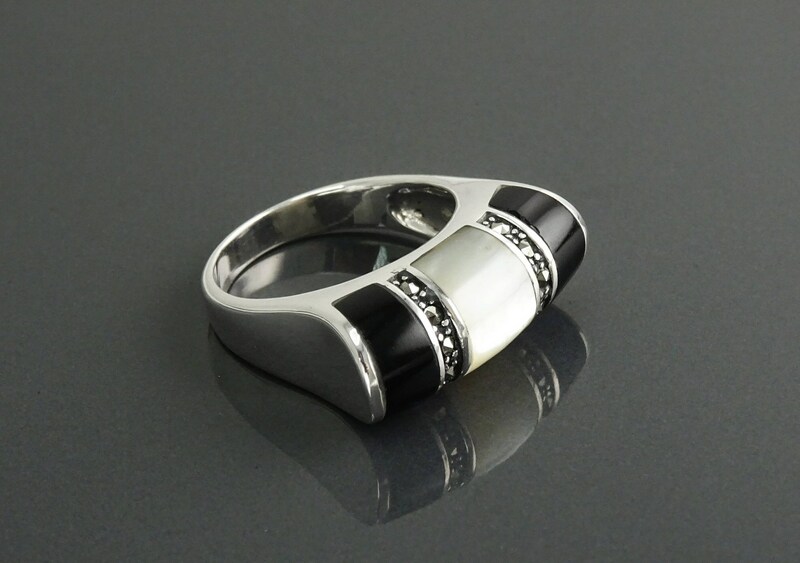 Ring Dimensions : 6 mm X 20 mm. 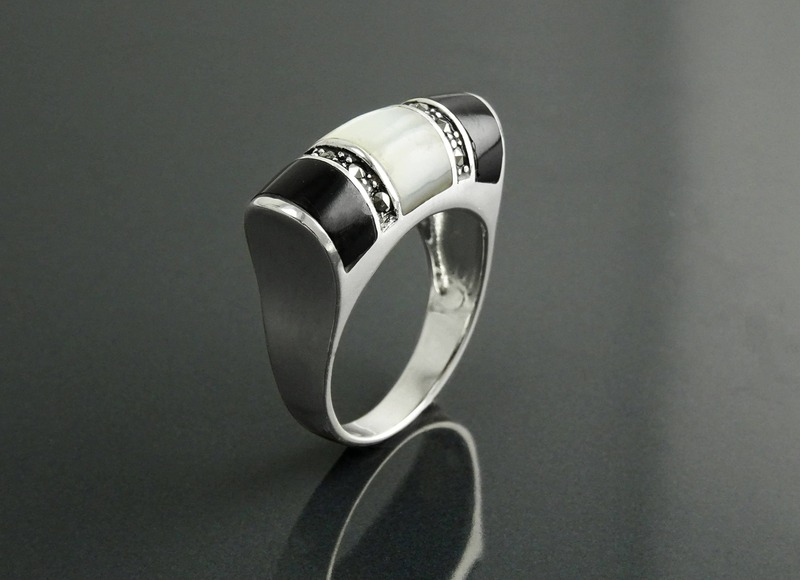 A very impressive statement ring. 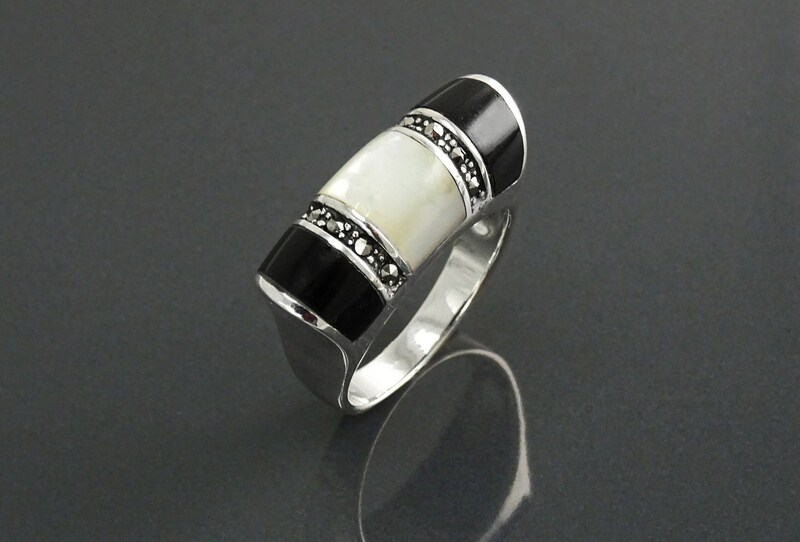 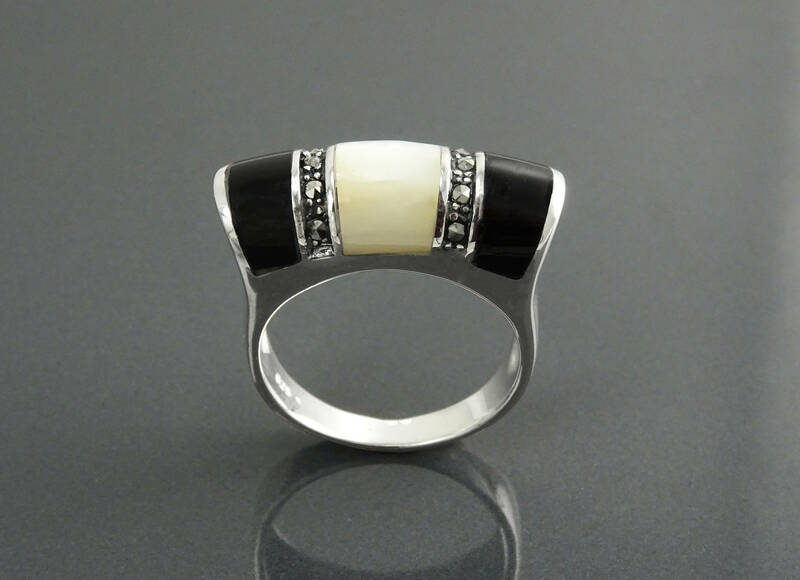 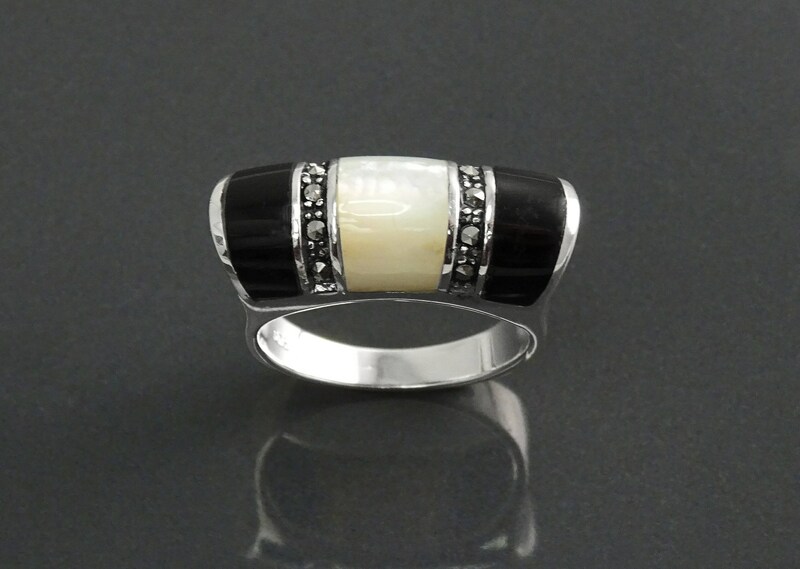 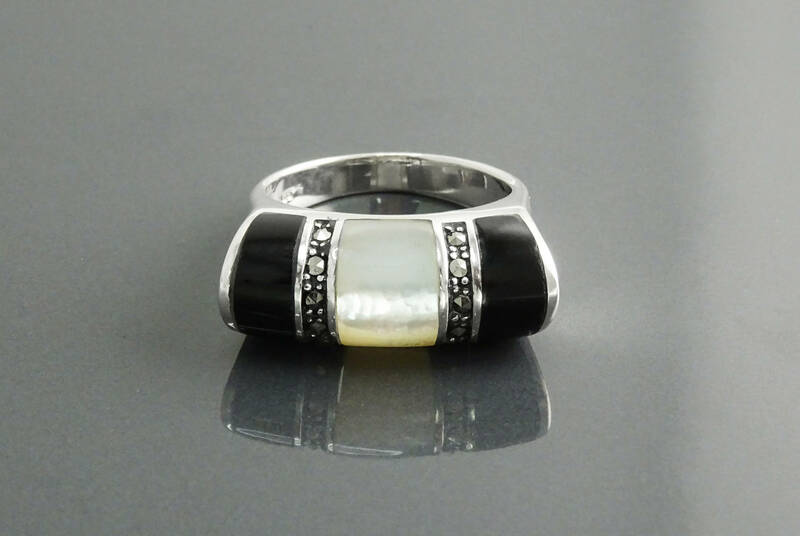 I love how the mother-of-pearl and the onyx contrast and are set off by the silver setting! 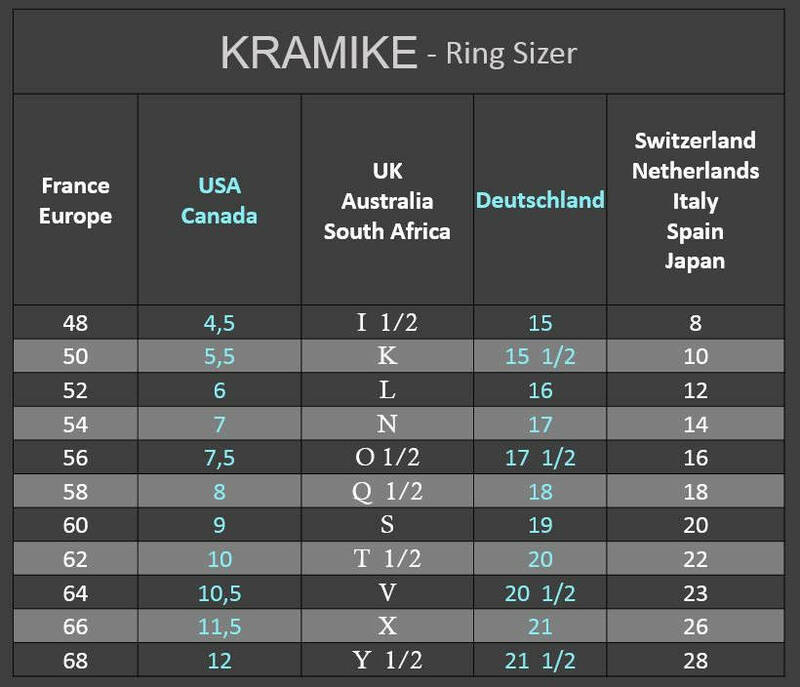 Beautiful ring, amazing service. 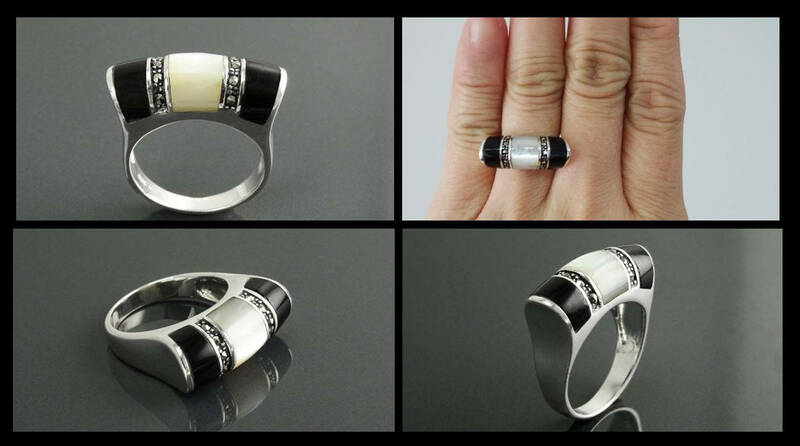 Definitely will be a return buyer!